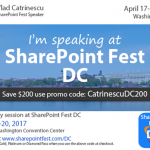 Speaking at SharePoint Fest DC 2018 ! Join me and 66 other speakers! 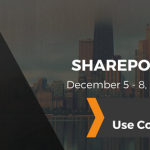 You are here: Home / Speaking at SharePoint Fest DC 2018 ! Join me and 66 other speakers for 5 days of awesome content! 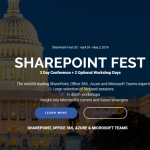 This year I have the great pleasure again of travelling to DC to speak at SharePoint Fest DC 2018! 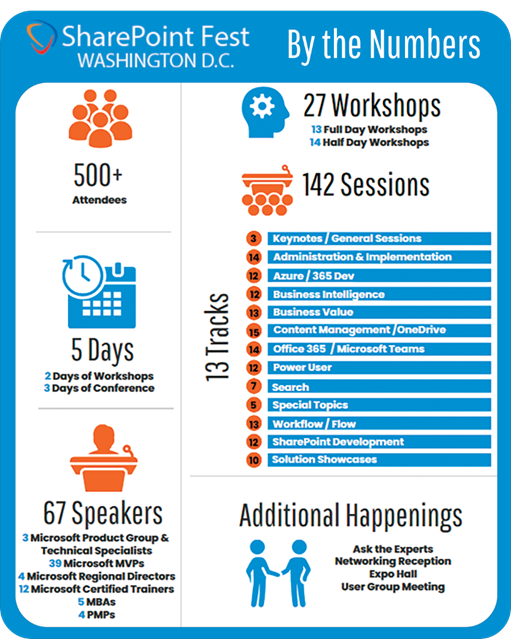 This year’s SharePoint Fest is the biggest one ever with 2 days of workshops, and 3 days of sessions! Just look at the numbers below! Here is what I will be speaking on! Morning Workshop 9:00 am – 12:30 pm, Monday WS 201 – Congratulations, you are our new SharePoint Online Admin! You have managed SharePoint On-Premises for a while and got comfortable with it, but now your company is moving to Office 365! Chances are, you will become the new SharePoint Online Admin! In this half day workshop, we will look at how to administer SharePoint Online, as well as some other Office 365 services that are often administer by the SharePoint Online Admin such as Groups, Planner, Video and more! Until you master PowerShell, you cannot have full control of your Office 365 tenant! PowerShell enables you automate boring tasks, and also gives you access to the more advanced settings that are not available in the Office 365 admin center. In this workshop, we will learn how to manage our users and licenses in Azure Active Directory, manage our SharePoint Online Sites, Exchange Online, Office 365 Groups as well as Skype for Business! After finishing this workshop, you will be able to manage all the aspects of your Office 365 tenant, and automate multiple boring tasks. BV 301 -What do YOU get from SharePoint Hybrid? Every time you see a blog post about SharePoint 2016, you see the word hybrid. But what exactly is a hybrid infrastructure and what features does the business user get? In this session, we will look at SharePoint Hybrid from a business user point of view to understand what features we get out of it. We will look at Hybrid Sites, Hybrid Search, Hybrid Taxonomy and more! Are you on Office 365 or planning to move soon? Learn how to automate business processes with Microsoft’s latest workflow tool: Microsoft Flow! In this session, we will earn the basic of workflows, how Flow works and create a few awesome examples!